User Rating Raziel received a rating of 86.886 percent from our users. 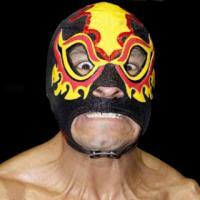 With this rating, Raziel is positioned at rank #227 in our Wrestler Ranking. Our spindoctors 16Chambers, Alter Schwede, beckpa, Bud Spencer, CMLL, Coco, Der mächtige Mahi Mahi, Duffman, Elvis Porky, Hróðvitnir, IWRG_Oficial, La Bestia Tapatía, LOCO PAEDE, Maulwurf, mausejule, Molf, Numero Uno, Puro Libre, row, Scrub, Simo Häyhä, Staatsgrind Nr. 1, Trauma 3, Ultimo Guerrero, Ursus Arctos and 5 other spindoctor awarded the top grade to Raziel. Our spindoctor CeliaBlack gave the worst grade to Raziel.